“Everyday” there are birthdays, parties & special occasions to celebrate! Have you seen a party or celebration without greeting cards, candles, balloons, invitations etc. We have it all! For the world’s only greeting card, gift & party franchise. Join the party and sell products that bring happiness and joyful moments to retailers & consumers every day. We have Next Generation designs, fun, trendy & stylish greeting cards, gifts, decorations and partyware for all occasions. In addition, we also have a new range of top selling stickers. Our products are sold in retail stores worldwide such as supermarkets, bookstores, convenience stores, toy stores, home deco stores etc. Stores only pay for what they sell, so they take no risk. No hard selling involved, as stores do not need to invest in stock. 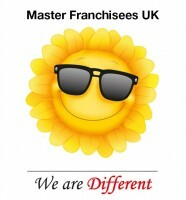 Already successfully established in the UK, we are now expanding and looking for individuals/companies who want to become Regional Master Franchisees in the UK. Be part of our global “We are Different” success story. The following regions are available: West Midlands/Wales, South West, South East, North West, Greater London. Your team provides a sales & merchandising service to stores. Minimal investment & we finance your growth! Supply agreement in place with a large convenience retail buying group in the UK. Someone who can finance working capital of between £40-£60,000. The UK greeting card market is worth 2.1 billion pounds. We can provide you with free information from Card Group Franchise!